Status: done, assigned to Harshita Mistry (harshimistry@gmail.com). Student's time zone: (GMT-05:00) Eastern Time - Toronto. Mentor's time zone (GMT+1) Poland - Warsaw. Public Calendar with tasks and availability: . 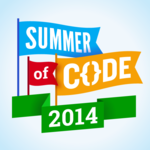 This task is assigned within the GSoC 2014 program for KDE. Application page: . Goal: Add support for importing (Kexi calls it data/design migration) tables from LibreOffice (or OpenOffice) Base (ODB format) to Kexi. From the libreoffice_base_files.zip archive cons4.odb has been extracted and altered a bit (added usage of more data types, floating point and BLOB in the patients table). Resulting database is cons5.odb. Qt/C++ shall be used for the task together with Java engine (HyperSQL aka HSQLDB) and probably connected via JNI. This could be introduction to later development of complete database import from ODB to a Kexi database. In particular look what are the elements (files) of typical HyperSQL Database. Studying kexi/migration/importtablewizard.cpp which is a GUI, in m_migrateDriver attribute taking an instance of implementation of a migrate driver derived from KexiMigrate class (in your case - the ODBMigrate driver). A java program that formats odb files and reads binary data from hsqldb using the hsqldb jdbc driver. A cpp program that calls a java program using Java Native Interface. Accepted and reviewed code will be integrated with the master branch of calligra by the mentor. Once the code is ready for review, it should be put for review at http://git.reviewboard.kde.org. This page was last modified on 4 September 2014, at 20:45. Content is available under Creative Commons License SA 4.0 unless otherwise noted.